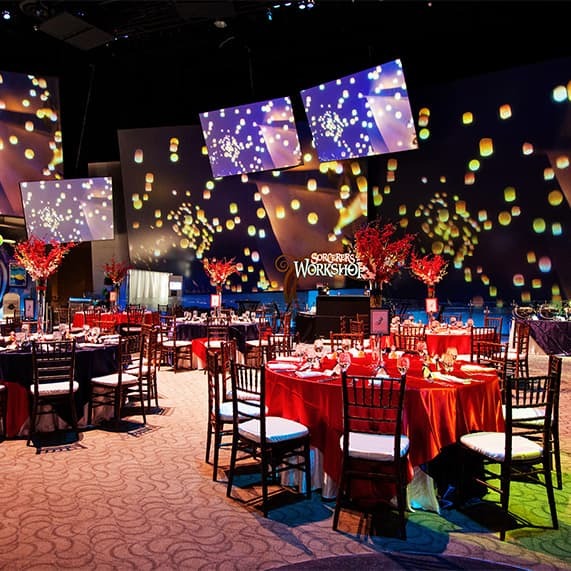 From the walls to the tablescapes, everything about Maridyth and Richard's wedding reception at Disney Animation Building in Disney California Adventure Park was show-stopping. 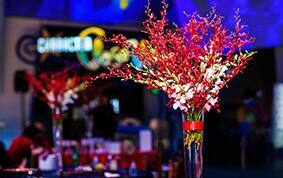 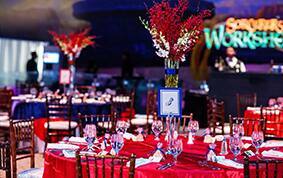 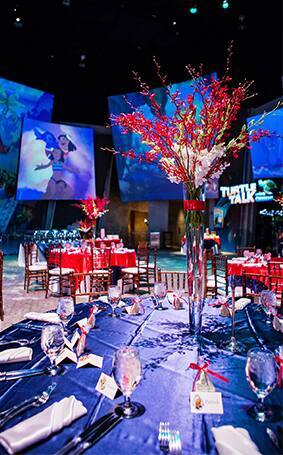 Tall red floral centerpieces filled the room while classic Disney films danced from screen to screen. 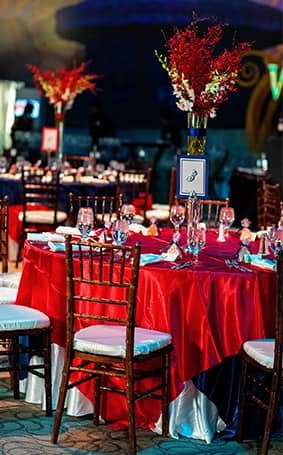 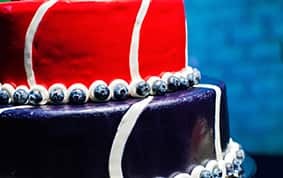 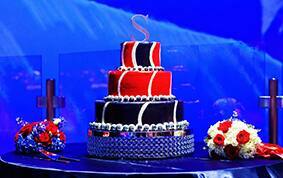 Navy and vibrant reds flowed together flawlessly throughout the night to compliment the venue, wedding cake and happy couple. 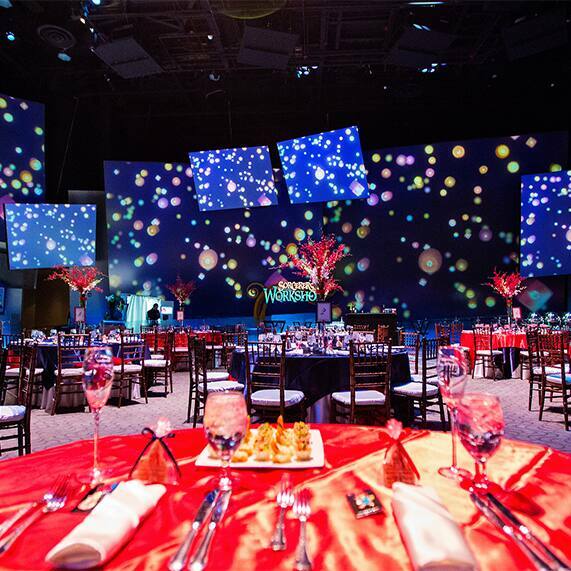 For more information on how to create your own show-stopping reception decor at Disney Animation Building, be sure to ask your Disney Wedding Planner.